The “Semi-Welded” plate heat exchanger useslaser welded cassettes which are made up of two plates welded together using modern laser welding machines. These cassettes are designed for the refrigeration industry where aggressive products such as ammonia are used. 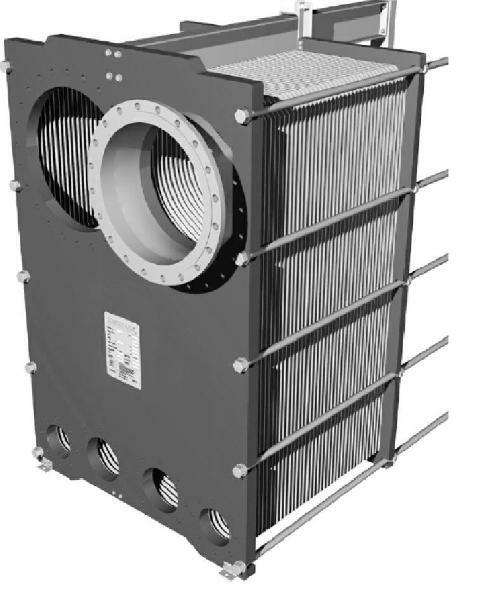 Applications include cooling, heating and heat recovery where one product will be aggressive.The design pressure is 16 (232PSI) or 25(363PSI) Bar.